November | 2012 | ARChive of Contemporary Music, or "Would You Take My Mind Out for a Walk"
Hi! Here is a nice batch of LPs that will be available at the ARC’s hot WINTER Holiday Record + CD SALE, Dec 8-16, everyday from 11am – 6 pm. Any of the above – an odd accidental religious grouping – all in near mint condition, $8 each. The sale is our major fundraiser, so come by and shop – books, CDs, LPs, singles, VHS, DVDs, sheet music. PLUS the yard sale of vintage stuff. Help us out ! Remember: ARC members attend our pre-sale PARTY on Thursday evening DEC 6! You can Join the ARC and attend our party online on PAYPAL or by calling us! PARTY will host Jamie Records‘ ARCTIC records reissue release party + ARC’s launch of the Bill Adler Holiday Record Collection. Food by Two Boots Pizza, Brooklyn’s Bonnie’s Grill (hotwings + beer) and Tribeca’s Bubble Lounge (champagne). Krrb.com is your host for the evening, a local classified startup. • UpComing Shop + Dance event DEC 7 @ the great Scissors Store. Scissors will host Crash Course In Science (70s/80s minimal wave band) who will DJ, dance and glow in the dark, yes this will happen in Eric’s 190 square foot store. Eric is a long time graphic contributor to the ARC. • Another thing we like, this Sunday, Dec 2nd, at the Museum of Natural History, Beat Nation will perform after the film screening of the Marcelo Machado movie “Tropicalia” Dance, Dance, Dance. It’s festival Time in India. 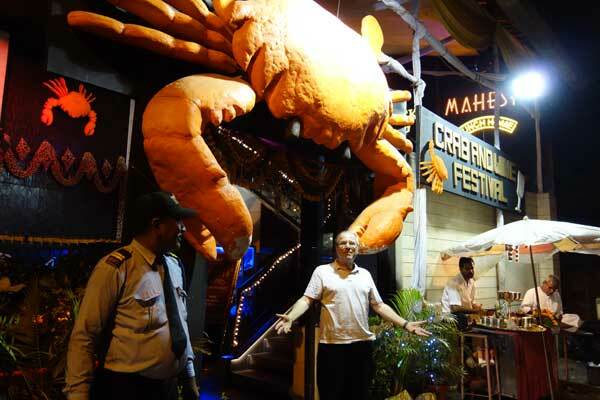 I was in Varanasi (Benares) during Durga Puja and took a breakneck bicycle rickshaw drive trough the streets – highly recommended in a city offering hash and opium on every corner. Festivals are pretty darn festive. 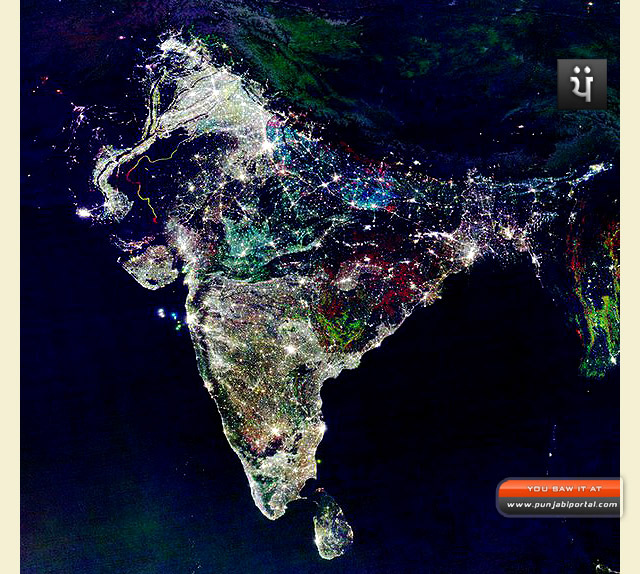 Here’s a shot from “Outer Space” (you know, about 62 miles away) of India during Diwali, the Festival of Lights, from www.punjabiportal.com. May be fake; may not matter. While in India I had the great pleasure of meeting Suresh Chandvankar, a scholar and one of the catalysts behind the Society of Indian Record Collectors (SIRC). He also spoke at the IASA conference in New Delhi, is an author and has helped Dust to Digital to release material from the Young India Label. His true love is Indian Classical music on 78s. He was also my guide to the record haunts in Chor Bazaar (Thieves Market), Mumbai. The corrugated cardboard is divided into three folded sections. On one end is a revolving metal disc with a spindle, on the other a metal stylus (needle). The 78 rpm record has a spindle hole, and a small hole on the outer edge of the label to insert a pen, pencil or stick. 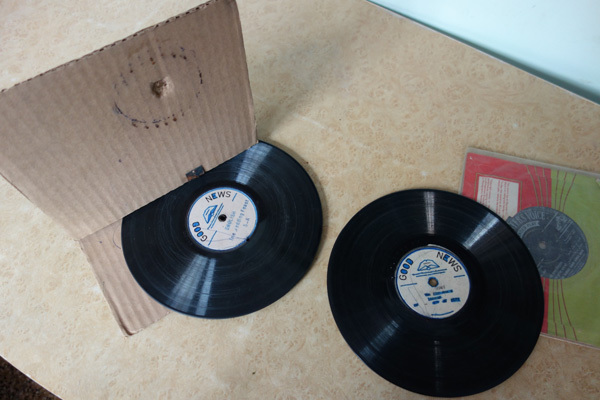 The cardboard is folded to make a triangular shape, the stylus placed on the record, the triangular fold acting as a resonator. The user insets the pen and handcranks the disc, and voila, an early walkman. It’s an iffy sounding system, but then again, it does indeed create a gramophone for practically nothing. The designers were proselytizing Christians, hell-bent on bringing “The Good News” to, in their minds, the heathen Hindus. The disc containing sermons, Bible stories and quotations. The only info I could glean from a partially obscured label states that this is a “Cardtalk Record Player” manufactured in Bangalore.